I was working on my Christmas card background. I had an awesome time working on very nice watercolor paper. Then I tried it out on my card. Definitely too busy for the card I had in mind. A lovely piece, it just wouldn't do for my card. 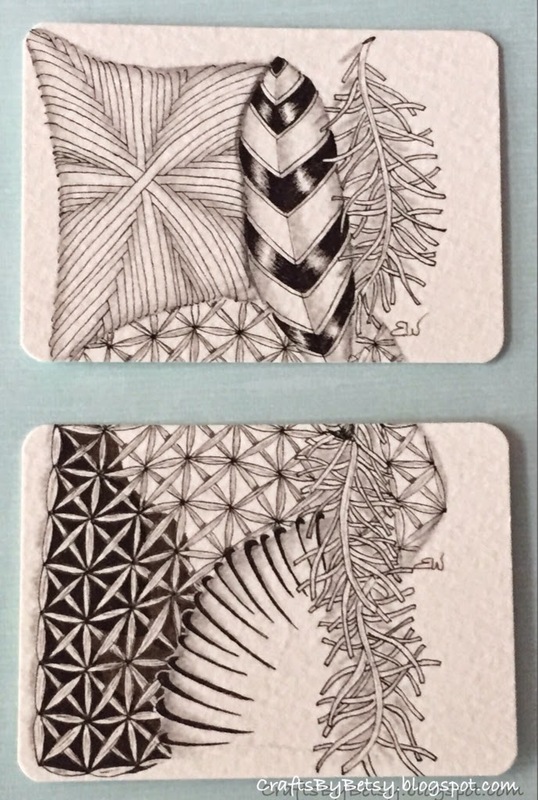 I could have framed it as it was, but instead, I decided to make it into 2 artist's trading cards (ATCs). So I get to have some more fun working on another background for my card. Just a slight delay to my Christmas cards. For me, that's normal. Maybe I'll finish in time to show you. Tangles: Hurry, Fife, Verdigogh, Braze and Pepper.